lorishemek I’m from Dallas! 🙂 So great to be a part of the #DiabetesChat!! mahodorowicz #DiabetesChat There are more than 4,000 chemicals in cigarette smoke…all harmful to health! Yikes! mahodorowicz #DiabetesChat Re: cancer, people with diabetes are at high risk of, and smoking increases risk all the more. Ugh! 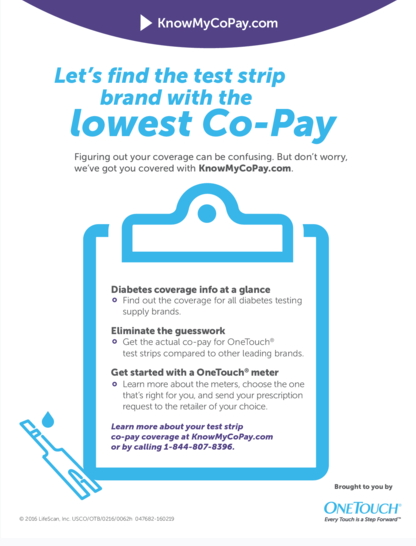 mahodorowicz #DiabetesChat Also ask people you trust which products worked well for them. mahodorowicz #DiabetesChat The gum control product gives you something to do with your mouth; need that when cigs not in your mouth! mahodorowicz #DiabetesChat Patches can be very discreet…a good thing, right? mahodorowicz #DiabetesChat It’s OK to fail….need to get back on that horse! It’s SO worth it! mahodorowicz #DiabetesChat Remember that Abe Lincoln ran for political office 12x and lost. 13th time was a BIG winner! KEEP TRYING! mahodorowicz #DiabetesChat Weight gain is not a slam dunk…can take steps to avoid or reduce! mahodorowicz #DiabetesChat Why is weight gain common? You want to put something else in your mouth as a substitute! mahodorowicz #DiabetesChat Brush teeth frequently through the day. When mouth is fresh & clean, you may have less of urge to smoke! mahodorowicz #DiabetesChat Avoid crash diets; quitting is tough enough without adding stress of extreme dieting! mahodorowicz #DiabetesChat Those few extra lbs can mean years of good health instead of being disabled from smoking. Extra lbs are small price to pay! mahodorowicz #DiabetesChat Take steps to get healthier BEFORE quitting smoking: helps prevent wt gain & makes quitting much easier! mahodorowicz #DiabetesChat Pre-Quitting Get Healthy Step 1: Sneak in exercise a little bit every day! A little goes a LONG way! mahodorowicz #DiabetesChat Pre-Quitting Get Healthy Step 2: Sneak in healthier foods a little every day. A little goes a LONG way! mahodorowicz #DiabetesChat Pre-Quitting Get Healthy Step 3: Sneak in relaxation a little every day. A little goes a LONG way! 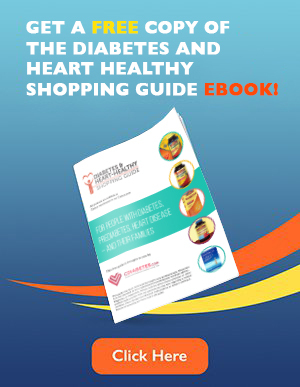 mahodorowicz #DiabetesChat Pre-Quitting Get Healthy Step 6: Get more of Gratitude Attitude! What r u grateful for? Why do u want long life? mahodorowicz #DiabetesChat Pre-Quitting Get Healthy Step 9: Buy less cigarettes and keep less in house, car, job….less is more…more health! 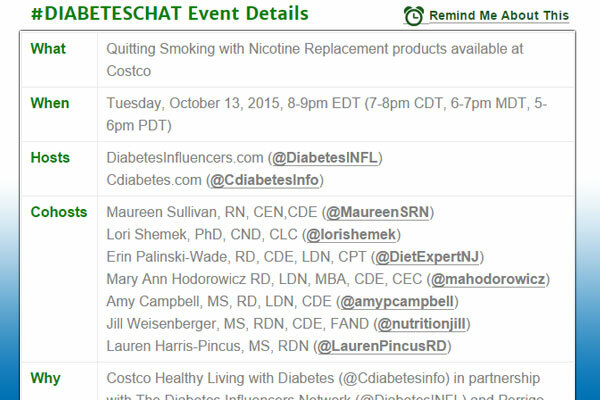 mahodorowicz #DiabetesChat LAST Pre-Quitting Get Healthy Step 10: Ask yourself “WHO would benefit if I quit?” Spouse, child, parent? VERY important! 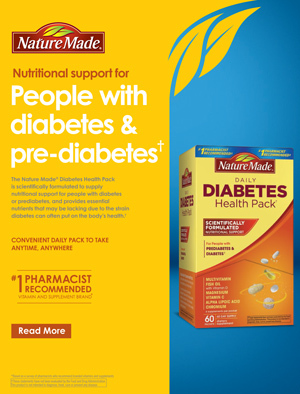 mahodorowicz #DiabetesChat VERY important to take the 10 PRE-QUITTING HEALTHY STEPS first! mahodorowicz #DiabetesChat Preparation, preparation, preparation! Did I say that enough times?? LOL! mahodorowicz #DiabetesChat People who need people are the luckiest people in the world! So GET SUPPORT! lorishemek A10. For more information read Quitting Smoking: A Costco Pharmacist’s Story. Reach out to support groups. #DiabetesChat. mahodorowicz #DiabetesChat Got kids and babies in a smoking house? Reason enough to ditch secondhand smoke! mahodorowicz #DiabetesChat Sneak in exercise every day…a little goes a LONG way! mahodorowicz #DiabetesChat Sneak in relaxation a little every day. A little goes a LONG way! mahodorowicz #DiabetesChat Get more of a Gratitude Attitude! What are you grateful for? Why do you want long life? Write it down! Look at it. SMILE! mahodorowicz #DiabetesChat What about kissing? Good reason to use products at Costco to reduce cigs! MORE KISSING! YES! Works for me! mahodorowicz #DiabetesChat Remember what we used to say in college? Who wants to kiss an ashtray! LOL! You CAN stop! Get those products and ask RPh! mahodorowicz #DiabetesChat And always REWARD yourself when you have been successful! And I don’mean kiss a toad! mahodorowicz #DiabetesChat What REWARDS appeal to you? I LOVE jewelry!